Join us to bring in the new year and celebrate our second annual Back to Business event. The 2018 event will feature guest presentation from Hon. Nicole Manison, Deputy Chief Minister and Treasurer. 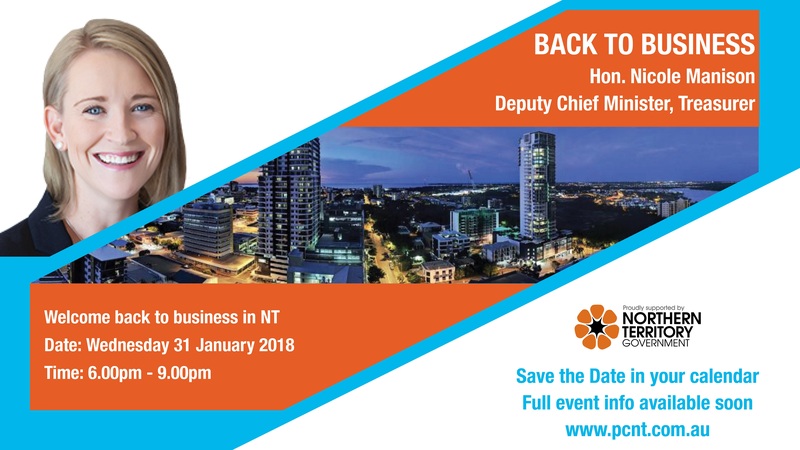 Nicole will share some insights into the coming year and what's on the horizon for business in the Territory - a great event to kick off our busy calendar for 2018. A great opportunity to network with members and guests from the NT oil and gas sector, stakeholders and the wider local business community. Nicole Manison was elected as the Member for Wanguri in February 2013. Upon coming to office with the Gunner Government in 2016, she was named Deputy Chief Minister, Treasurer, Minister for Children and Minister for Infrastructure, Planning and Logistics. Tickets include 2 course dinner, beer, wine and soft drinks.